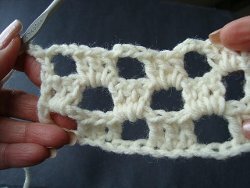 The checkerboard stitch is a really neat stitch and you can learn how to crochet it right here. 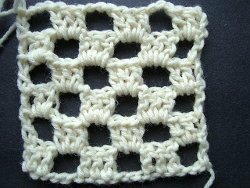 You can use just one to work up a dishcloth or crochet the squares together for a really neat-looking afghan. This tutorial is a great step by step guide. 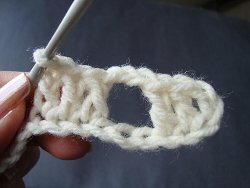 People will be very impressed with your skill as a crocheter when you show off your expertise with this crochet stitch. Start with a chain. 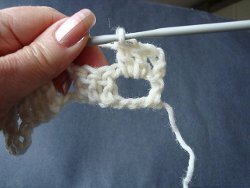 Double crochet in the 3rd stitch from the hook, and in the next stitch. Skip the next 3 stitches. 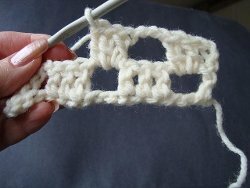 Double crochet in each of the next 3 stitches. Repeat steps 2 and 3 across the row. 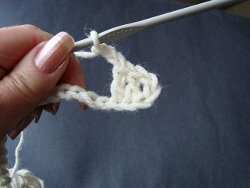 Always end with a double crochet in the last stitch. 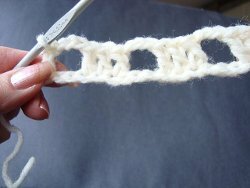 Chain 3, make 3 double crochet in the chain 3 space of the previous row. Repeat step 6 across the row. Photo shows 3 rows of checkerboard stitch completed. One checkerboard square is shown on the right. 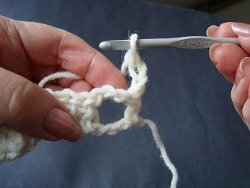 Read about Harrington's bio and her experience with crochet. not a good tutorial for the start of the chain and then some.!!! very cute. But what is the pattern repeat so I know how many to chain? Am new and do not know how to figure out. Thanks! 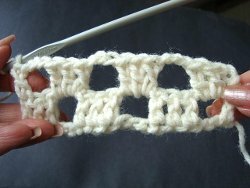 This is a cute stitch and I can't wait to make something using it! Thanks so much for sharing! 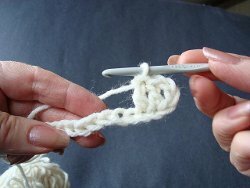 i would like to see an afghan made with this stitch.